Designing an excellent user interface option for the mobile phones demands an overall understanding of every user behavior. While speaking about the triumph of particular mobile application, it is entirely depends on the spontaneous UI design element that combines functionality with usability. The best mobile UI creates it simple for every user to use the app. It not only brings some merits, but also helps people to promote their application in an outstanding manner. The exclusive design allows user quickly move from their initial point to destination. We create superior interfaces that are uncluttered and attraction. In addition, our innovative and exclusive Mobile UI Design permits the user to operate the app successfully without having any guides or directions. Our attractive GUIs are the perfect combination of intuitive design and striking graphics. Our reliable services encourage several individuals to use our services in an often manner. We are offering the superior IU design services for several devices. We have effectively developed difficult application sand websites. 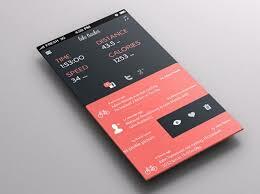 We are having well-versed knowledge in app designing and development. In addition, our designers are gaining all significant skills regarding various mobile platforms. We follow rich designing techniques and robust methodology in order to satisfy all needs. The specifications of our special UI design element are really captivating, unique and engaging.